Our custom structures take into account all of your specifications, like location, size and special needs, to create the perfect solution. 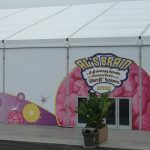 Need a completely unique structure for your next event? We’re here to help you find the perfect solution. With our in house manufacturing and design facility we can offer custom tent design and installation services. For your custom projects, we can help you develop a structure that takes into account all the particulars of your event, including location, size, purpose and more. Over the years we have created custom projects for clients in a variety of industries and are proud to continue this tradition. 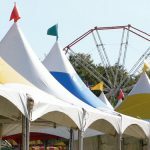 Set up a consultation with us today to see how we can help with your custom tenting needs.